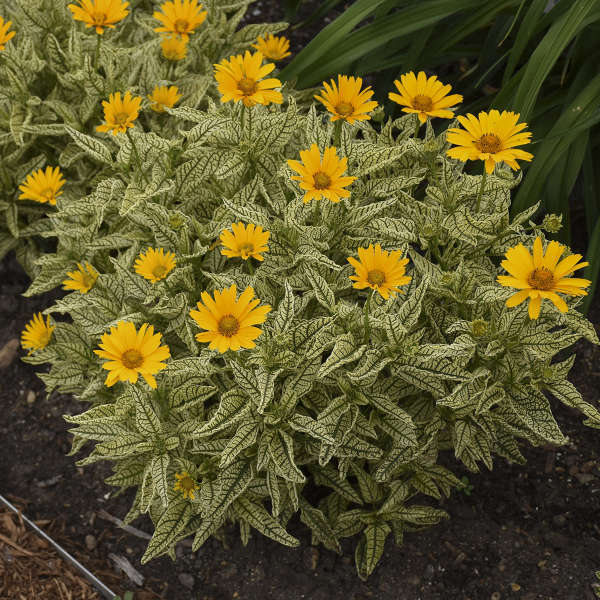 Variegated Heliopsis have long been popular in the perennial landscape, and ‘Sunstruck’ fills the spaces at a much shorter height. 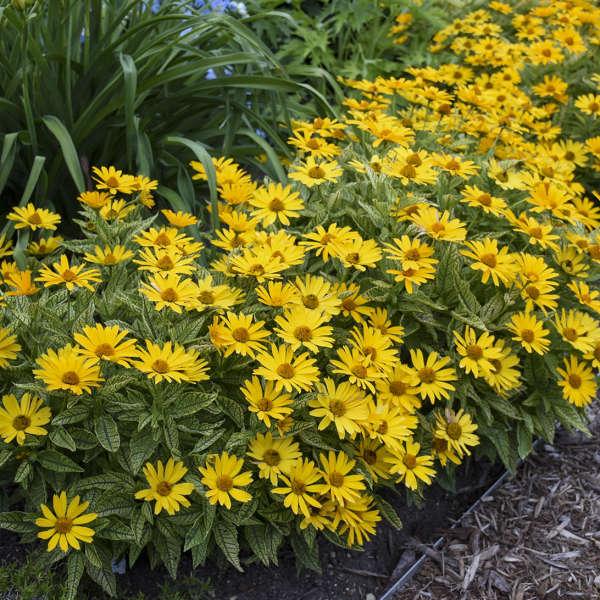 2” large, golden yellow flowers appear above the cream and green variegated foliage even earlier than typical Heliopsis, and blooms all through summer until fall. 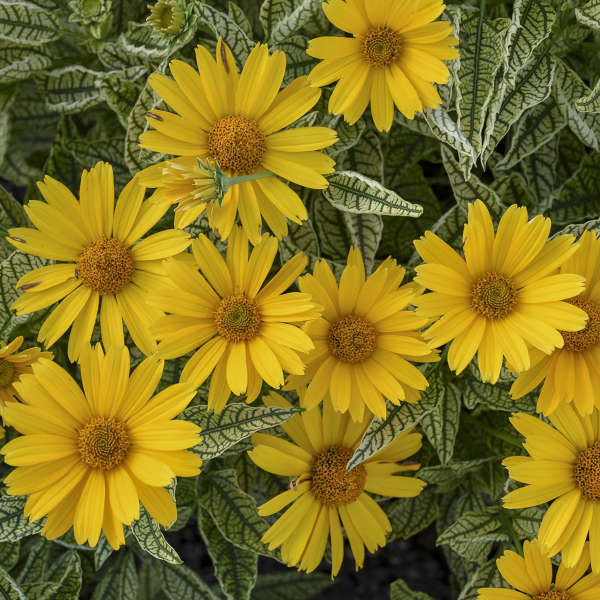 Compared to ‘Loraine Sunshine’, ‘Sunstruck’ is more compact, has more ray florets and a deeper flower color. 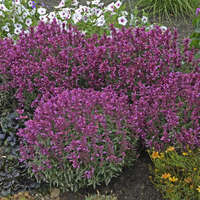 This is the perfect height for smaller spaces in the garden or for combination containers. 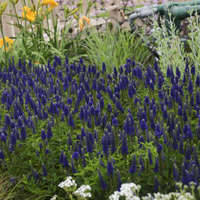 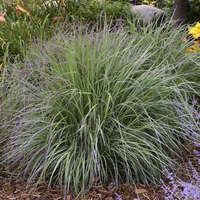 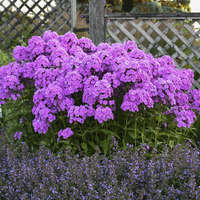 From Darwin Perennials.